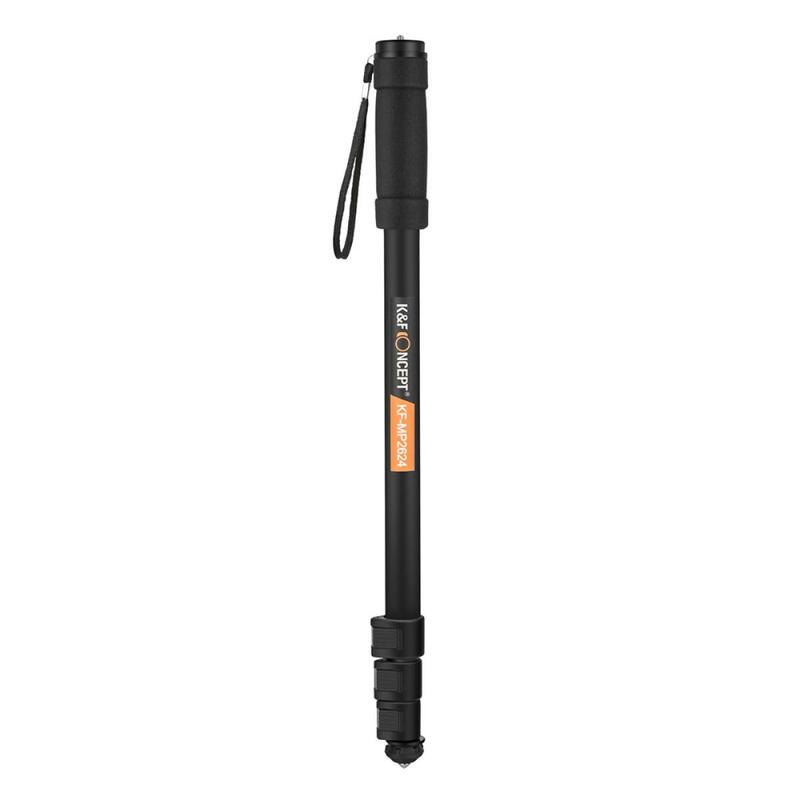 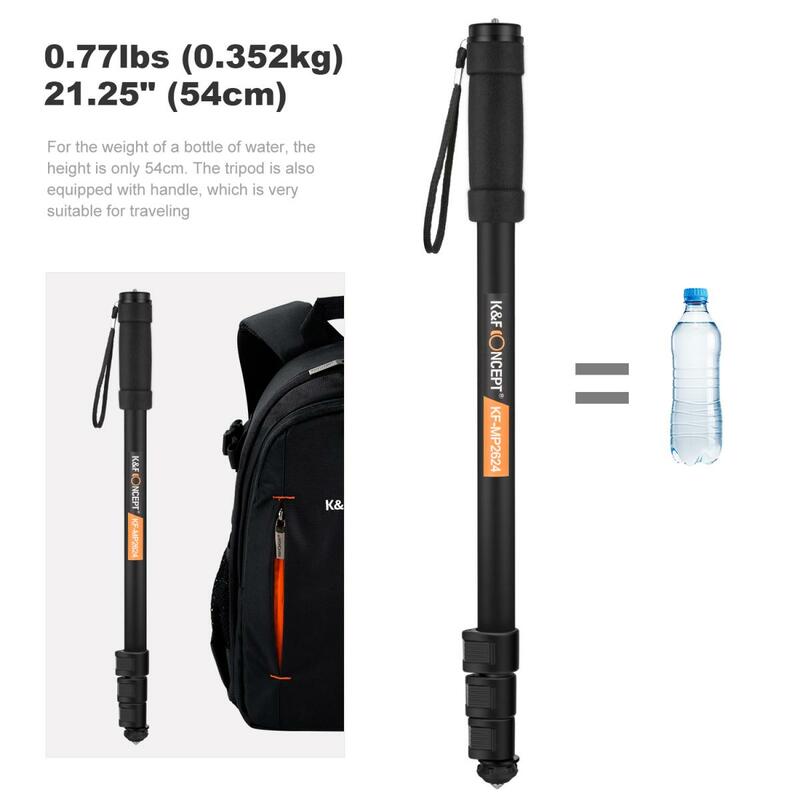 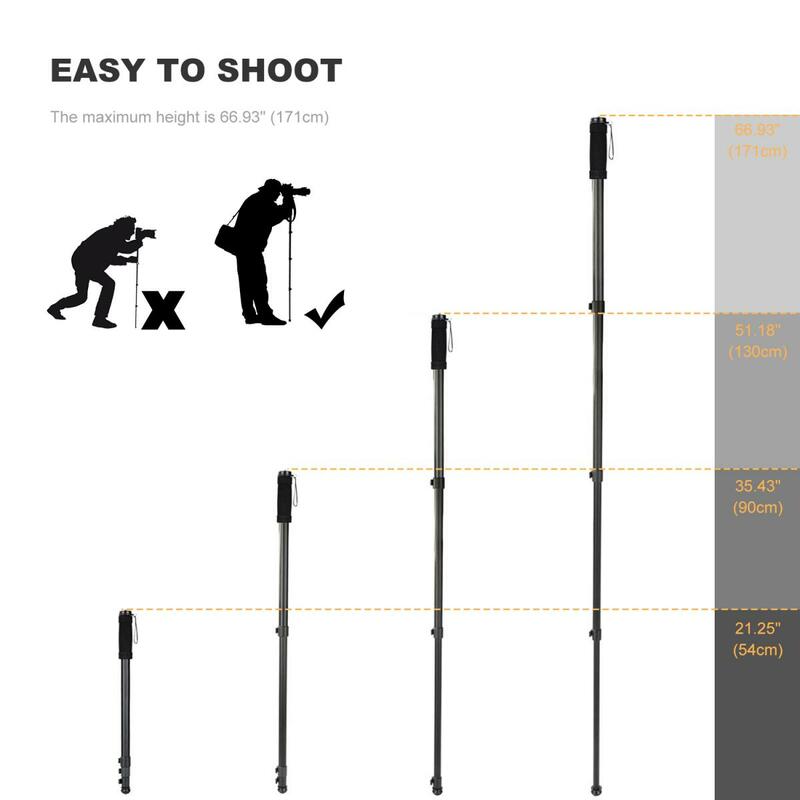 • Monopod weights only 0.77Ib, 21.26 Inch folded height, light and portable. 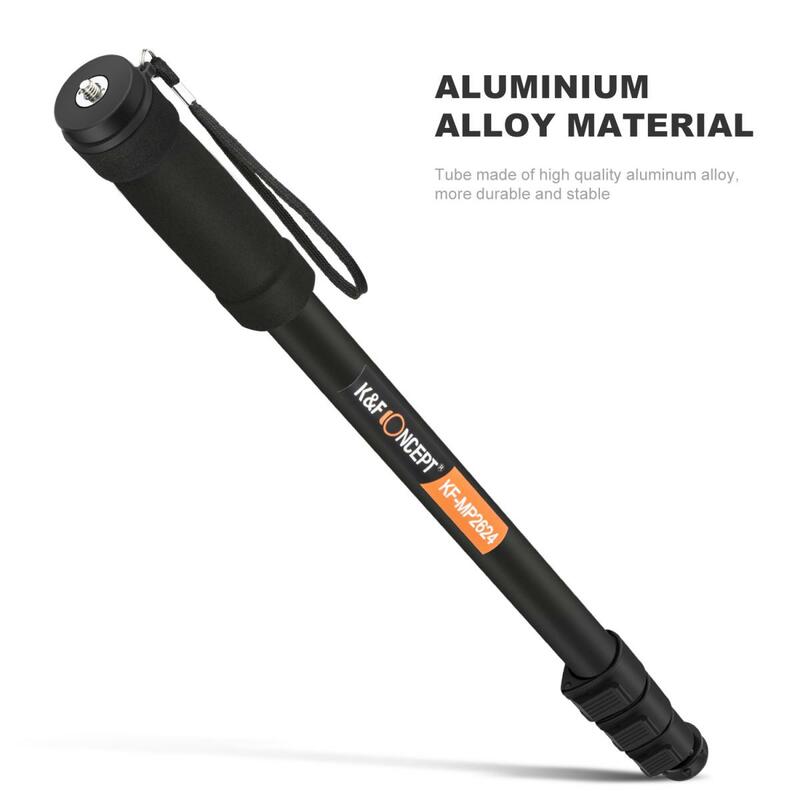 • Tube made of high quality aluminum alloy, more durable and stable. 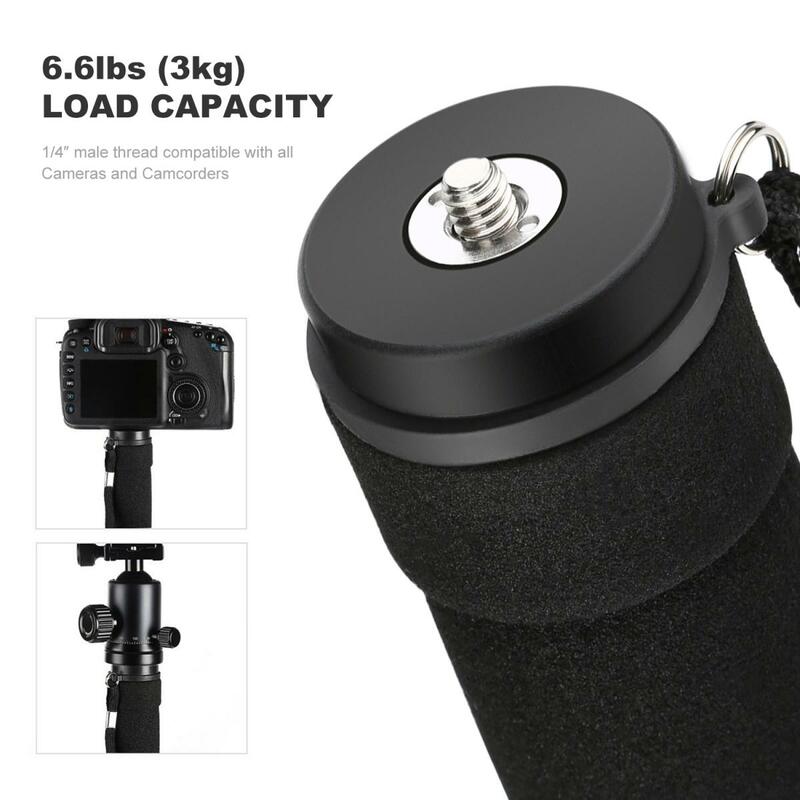 • The 1/4-inch universal thread lets you mount most digital and still cameras, video cameras, and scopes up to 6.6 pounds. 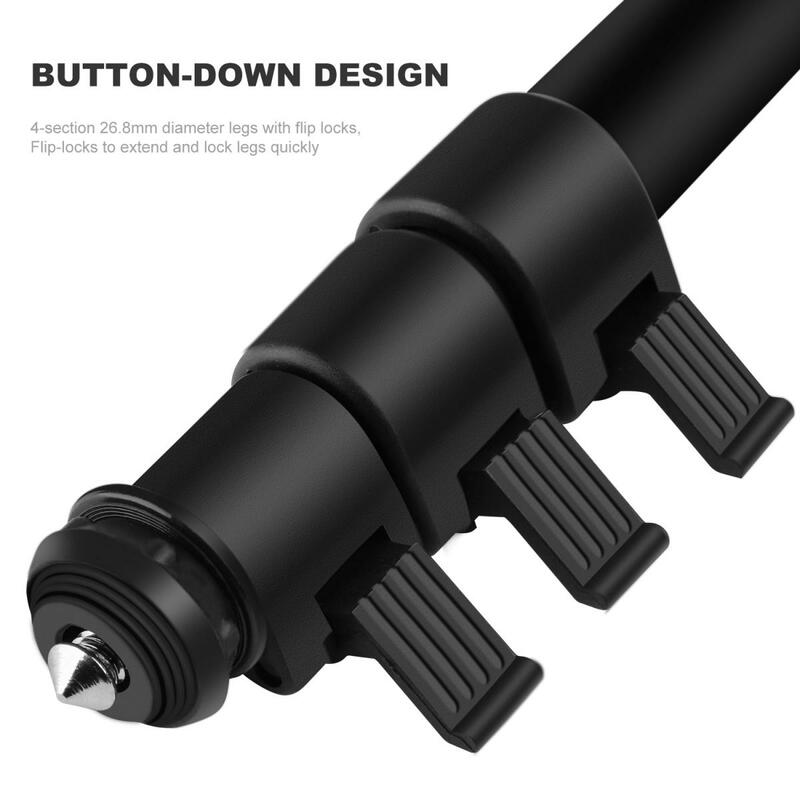 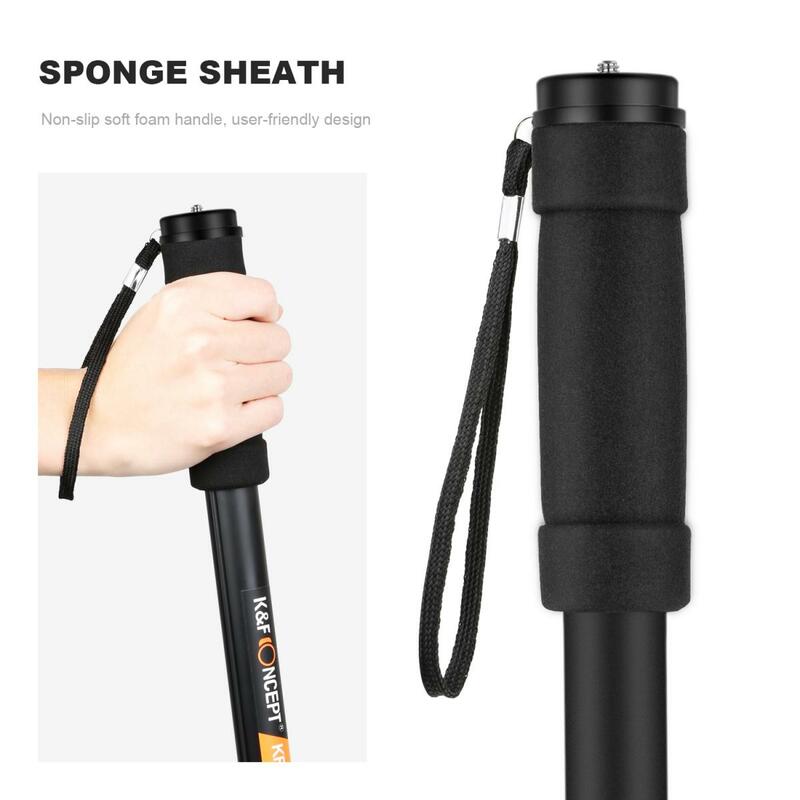 • The rubber foot of this monopod can be retracted on its threaded mount to expose a metal spike foot for use in outdoor. 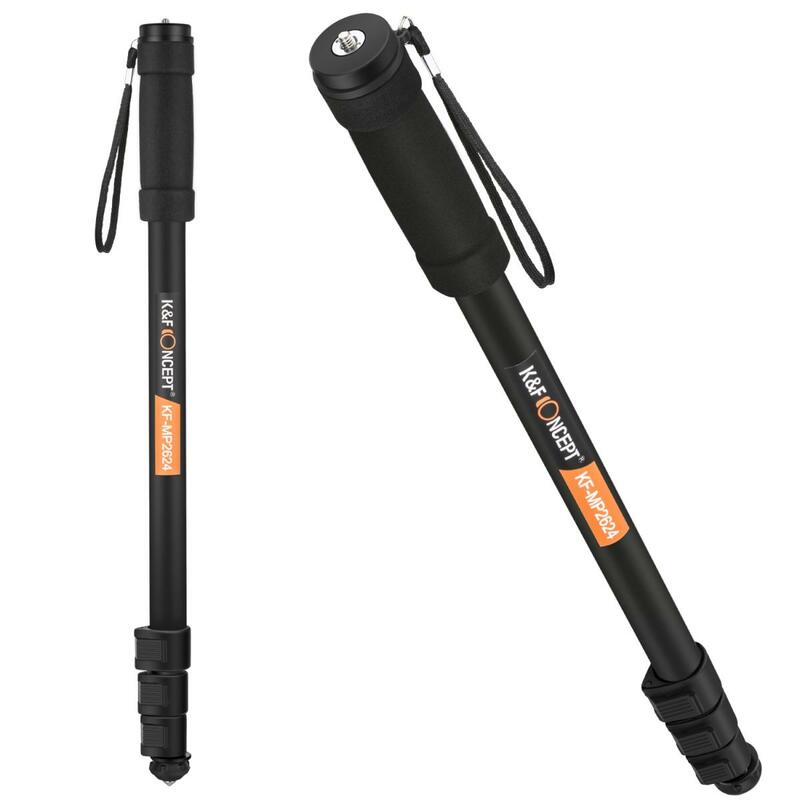 • Flip-locks to extend and lock legs quickly.Non-slip soft foam handle,user-friendly design.